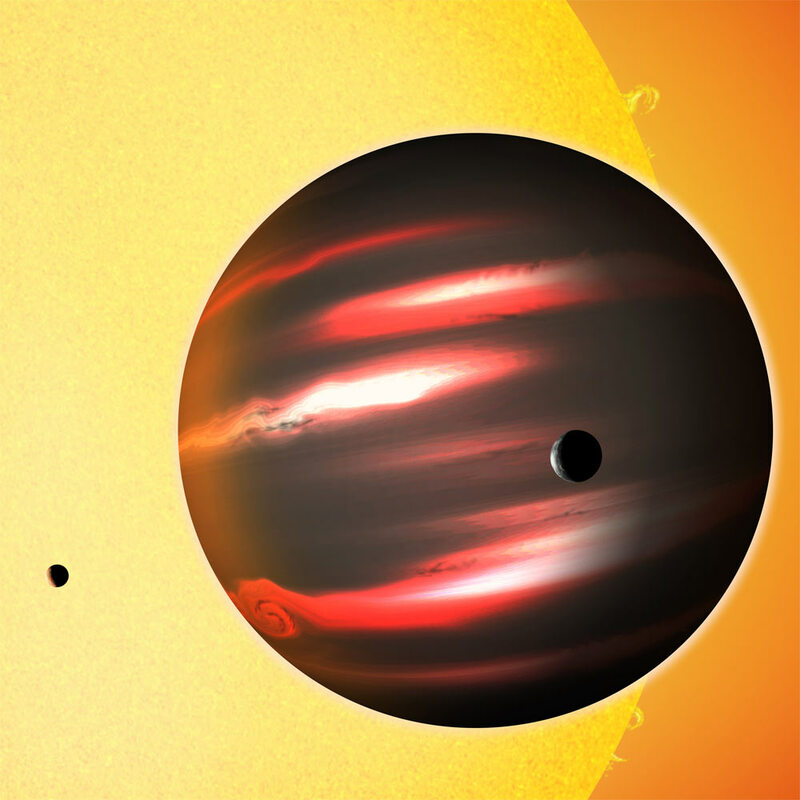 Astronomers discovered the darkest alien planet in the galaxy, known as TrES-2b. The distant exoplanet TrES-2b is darker than the blackest coal. This planet belongs to a class of hot Jupiters, gas giants, orbit of which are very close to the star. Astronomers detected that this Jupiter-sized world reflects less than one percent of the light that falls on it, making it blacker than any planet or moon in our solar system. NASA’s Kepler spacecraft detected it lurking around the yellow sun-like star GSC 03549-02811 some 750 light years away in the direction of the constellation Draco. TrES-2b is at a distance of 4 million miles from the star, which is more than 10 times smaller than the distance from Mercury to the Sun. Star heats the planet to a temperature of about 1000 degrees Celsius, and such heat can not exist either ammonia or methane. According to scientists, it atmosphere contains vaporized sodium, potassium and gaseous titanium oxide, which well absorb light.